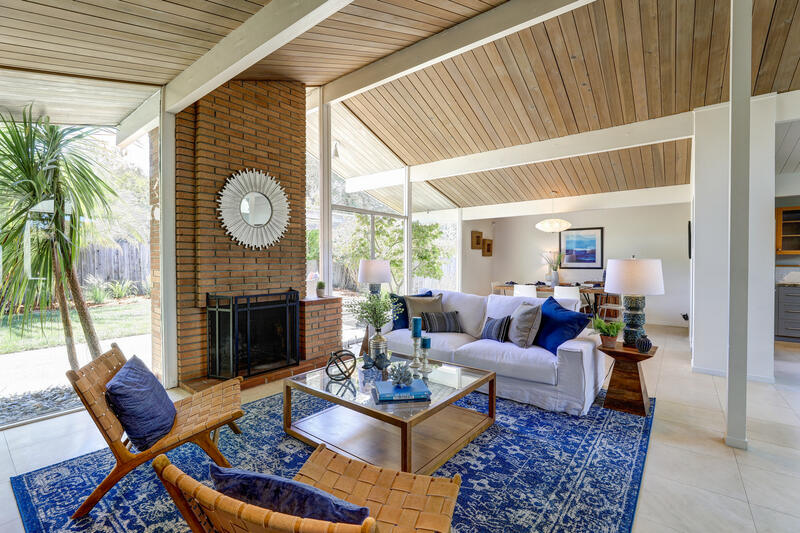 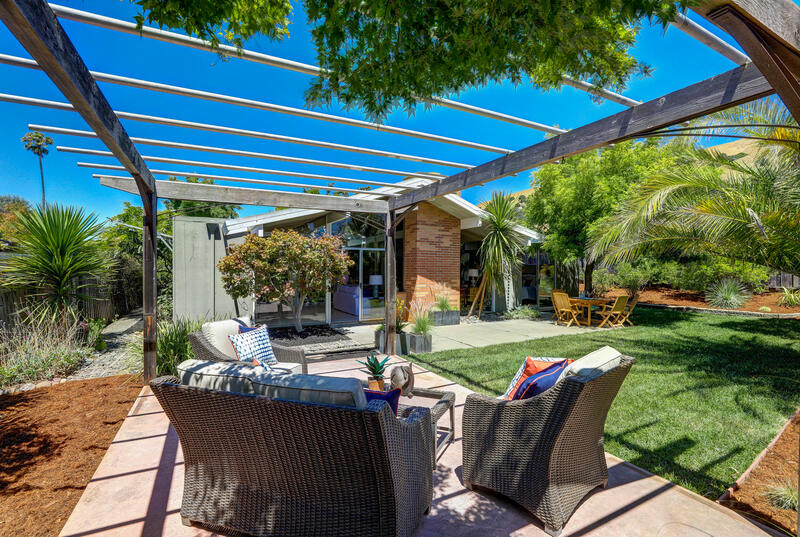 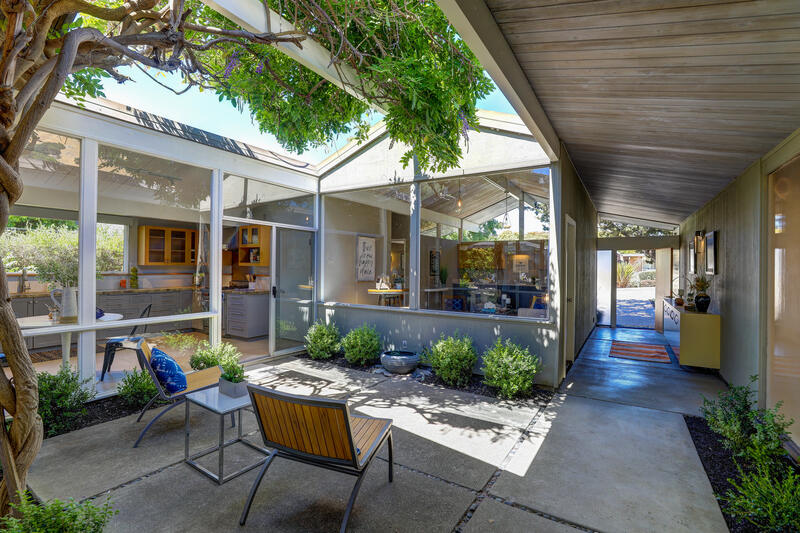 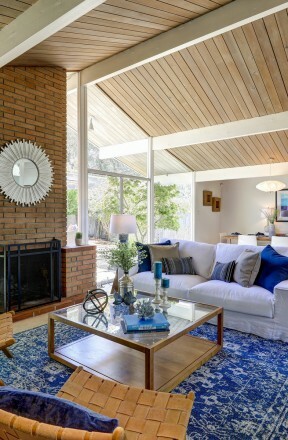 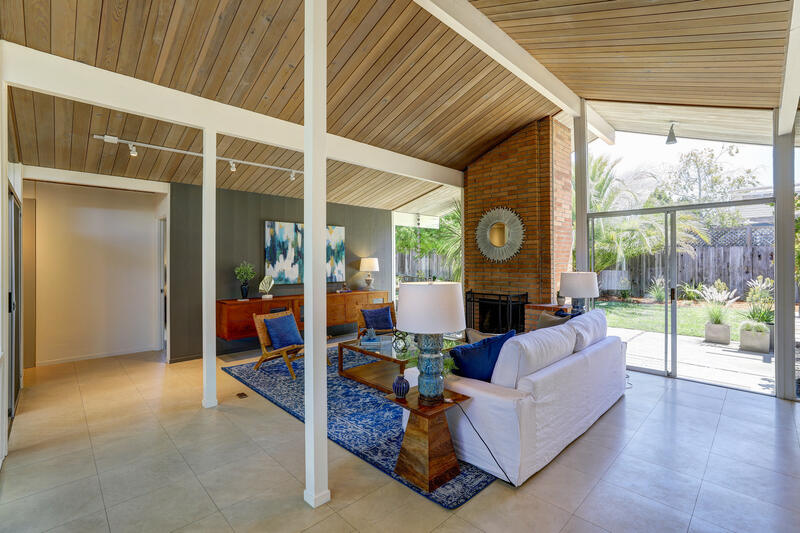 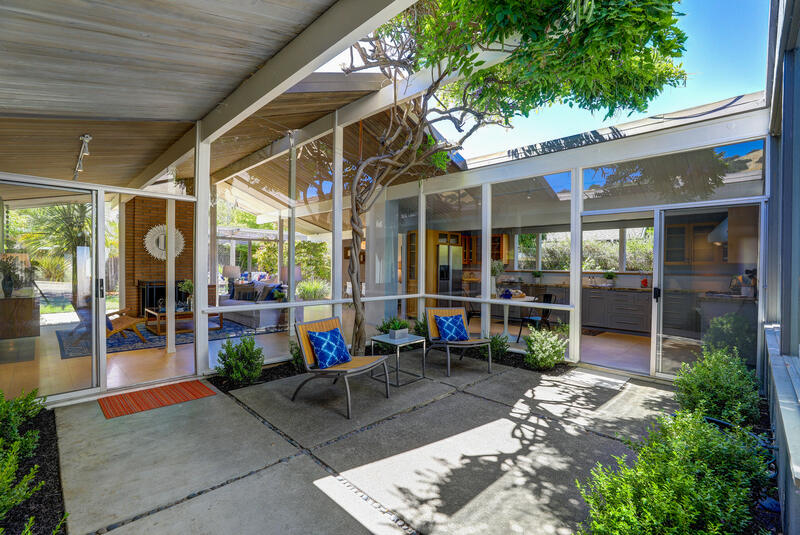 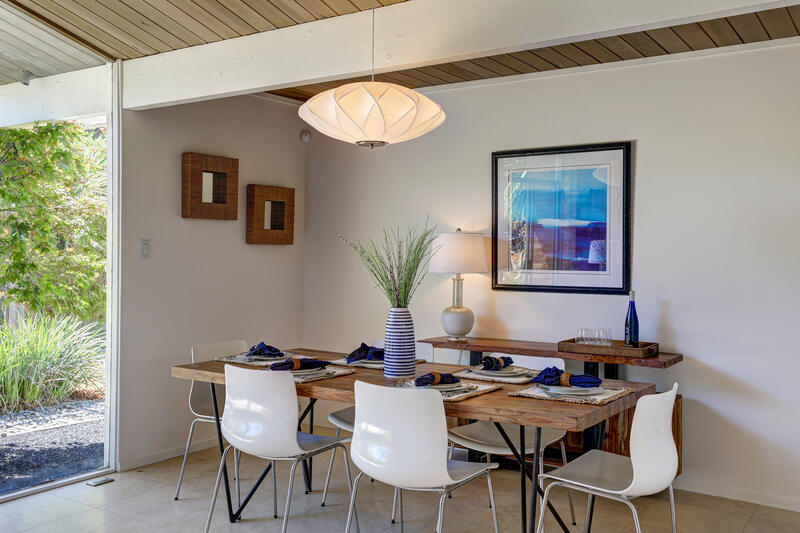 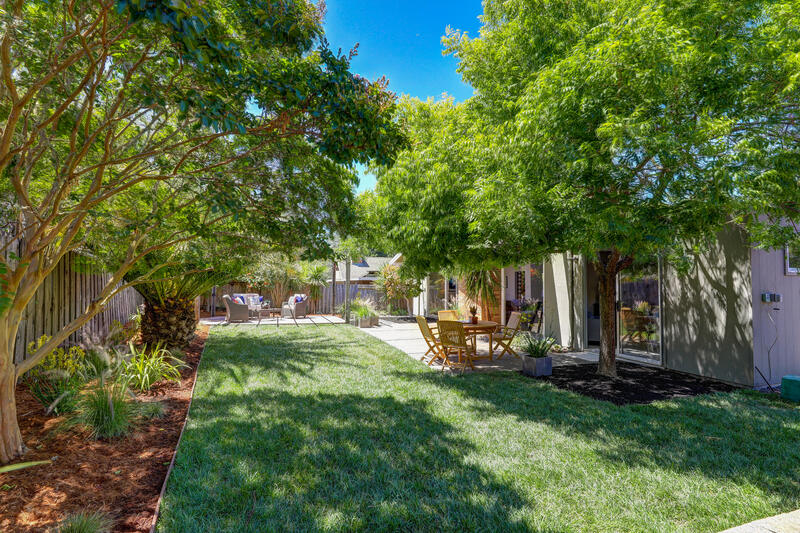 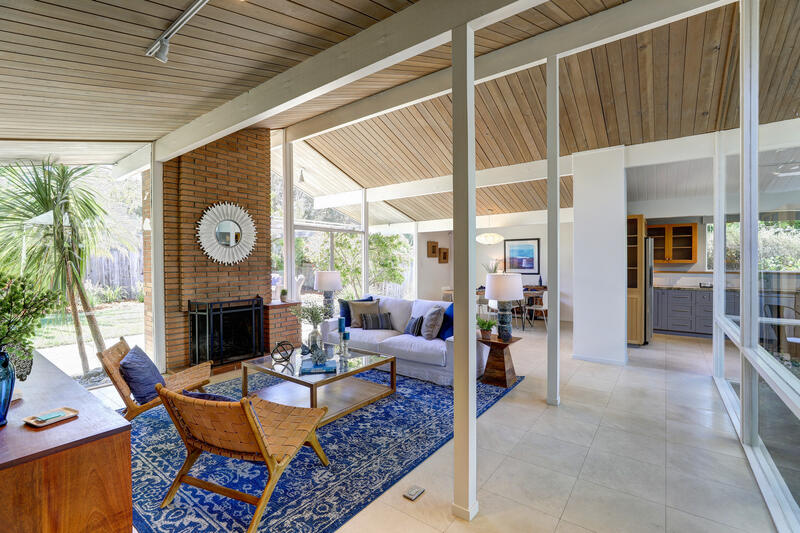 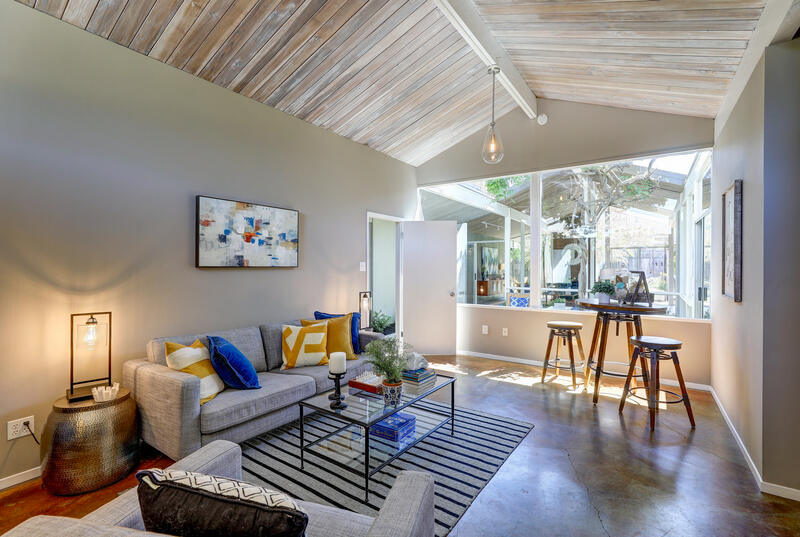 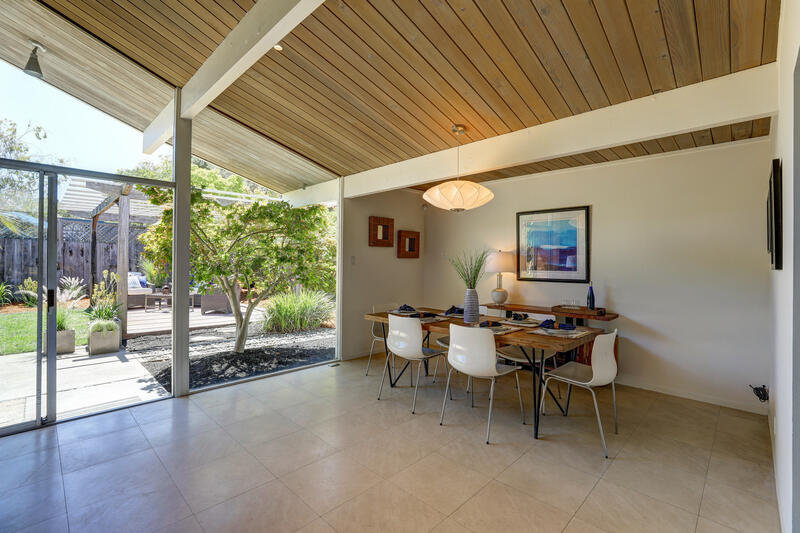 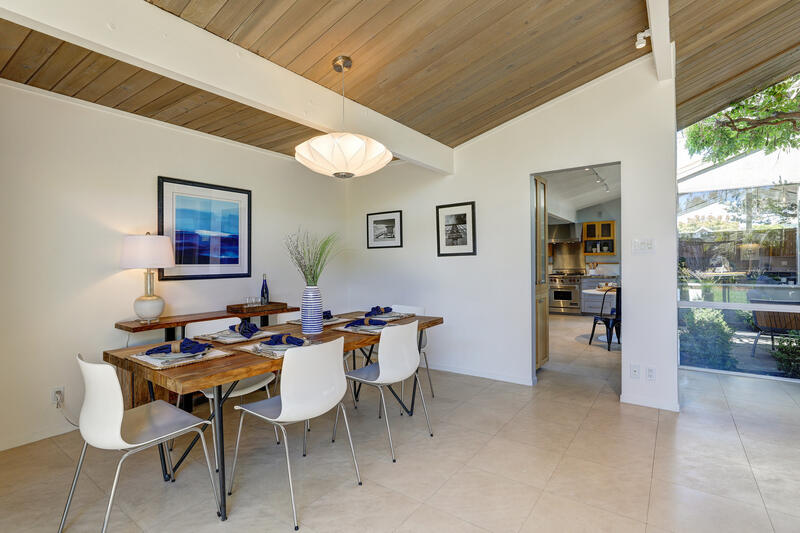 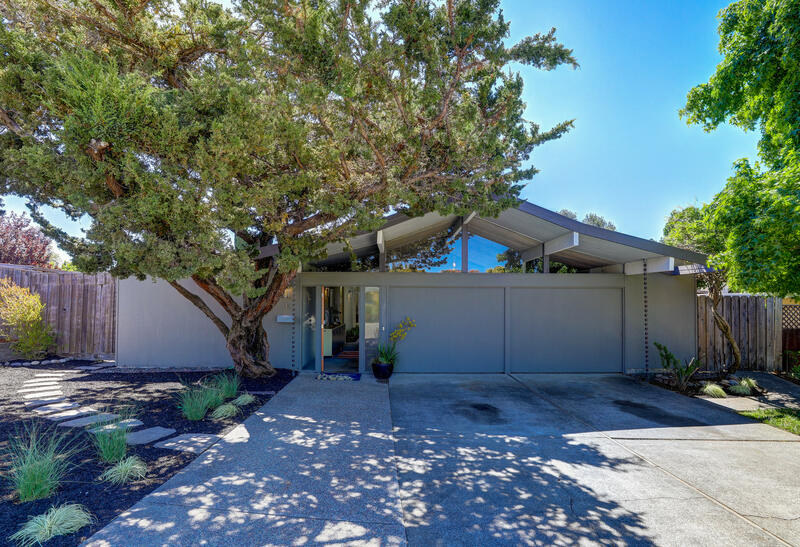 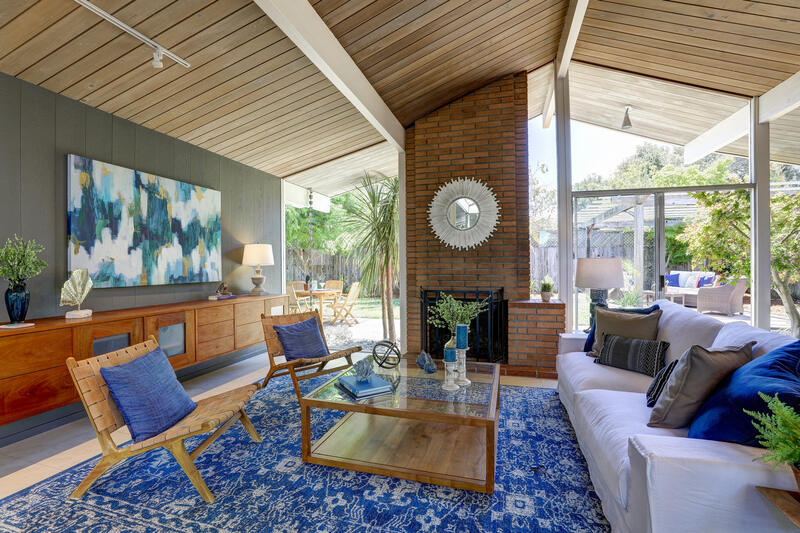 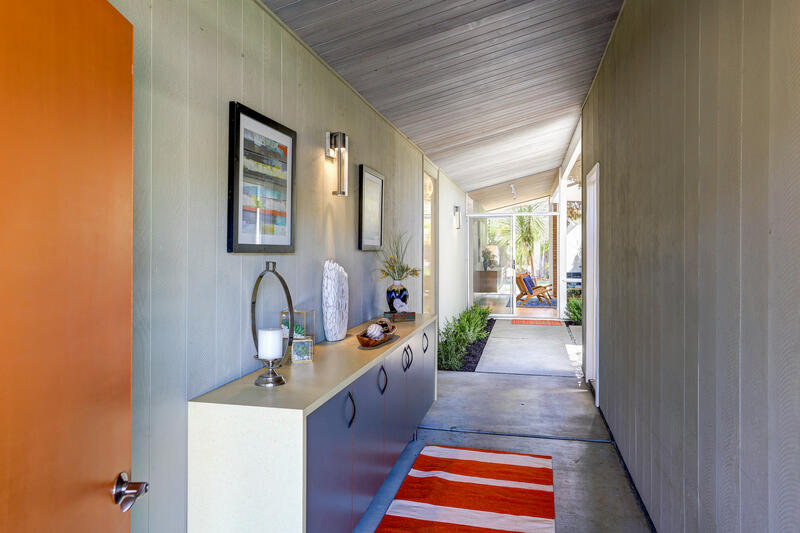 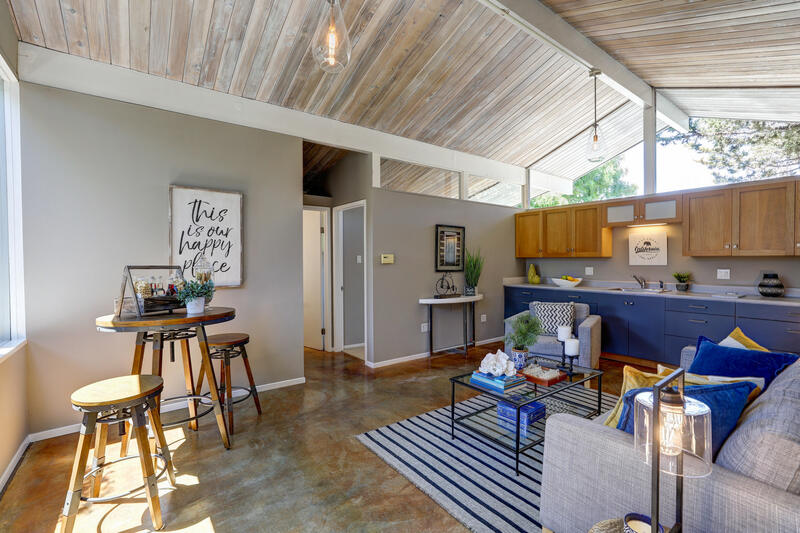 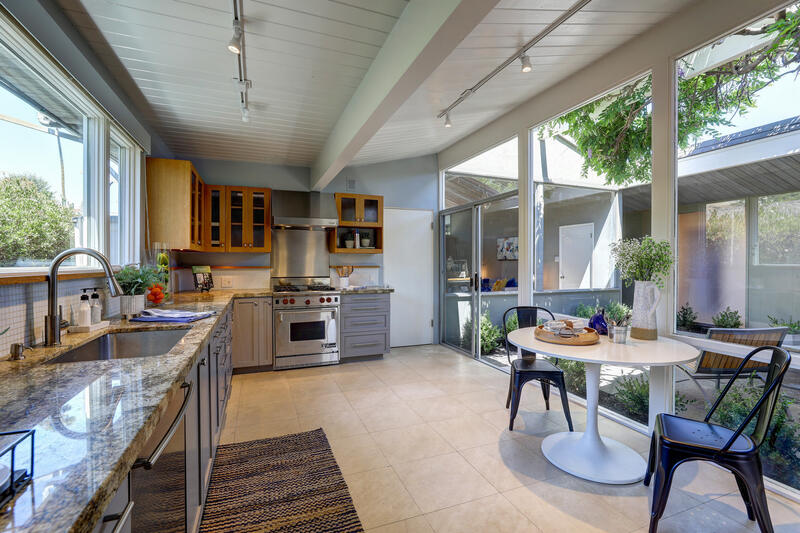 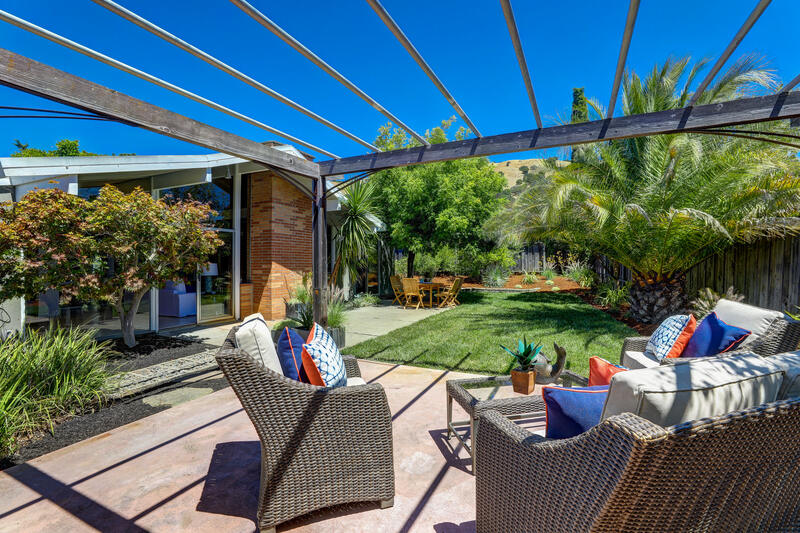 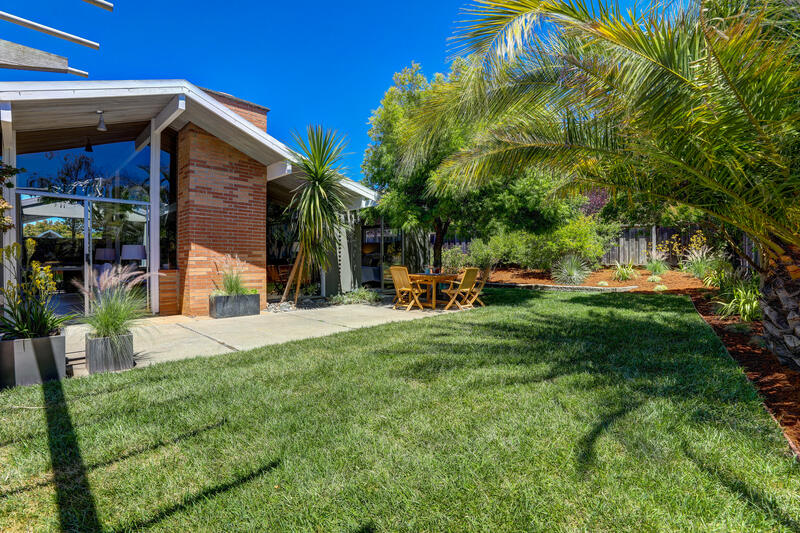 This vibrant and distinctive Atrium Eichler is in a treasured location on the corner of Idylberry Rd. 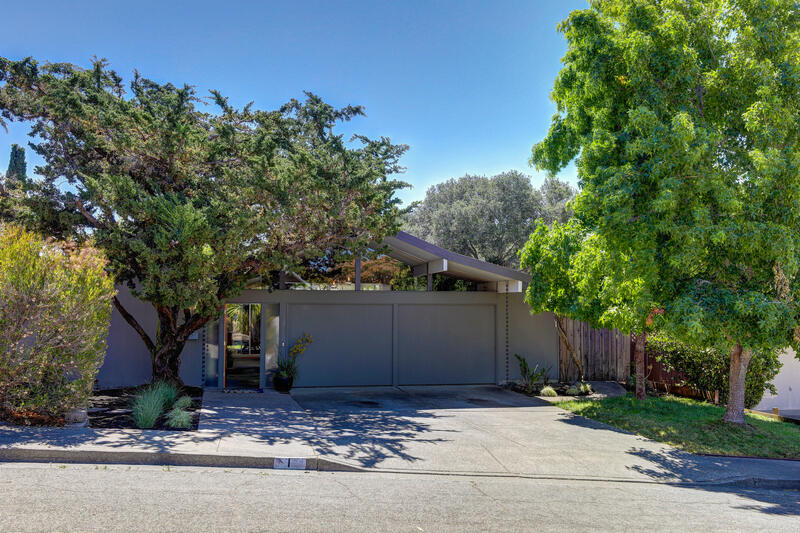 and Mount Susitna Ct. cul-de-sac. 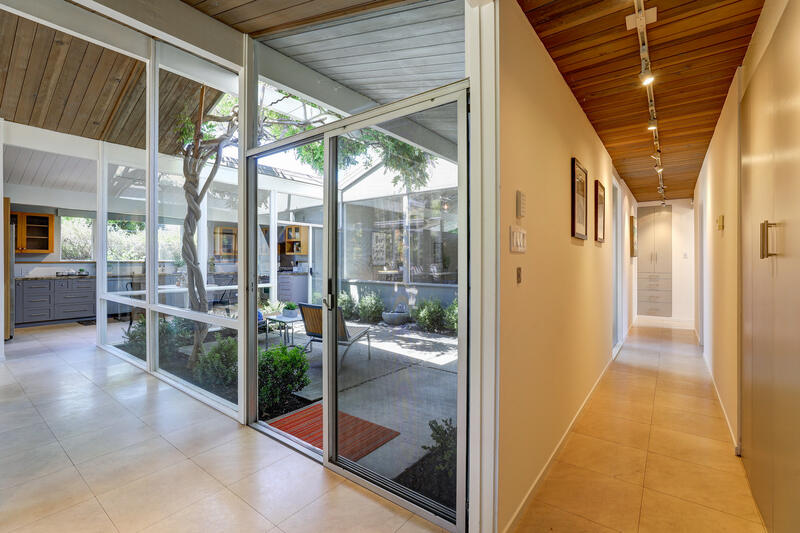 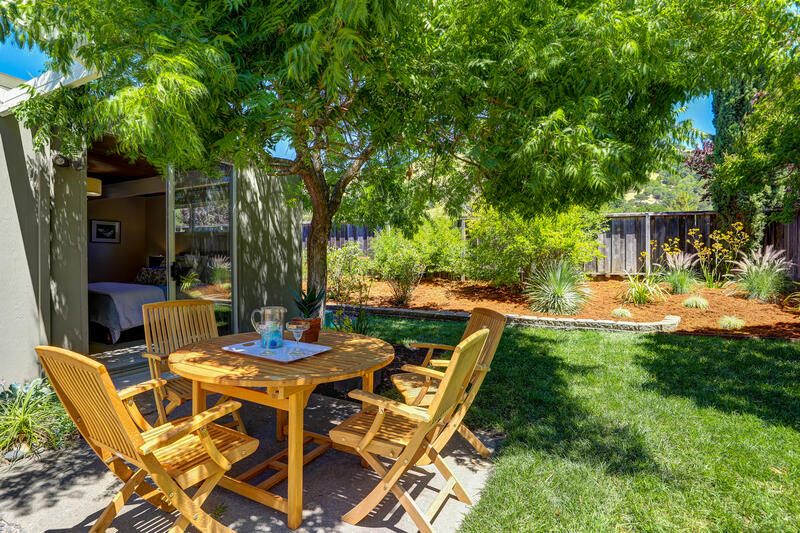 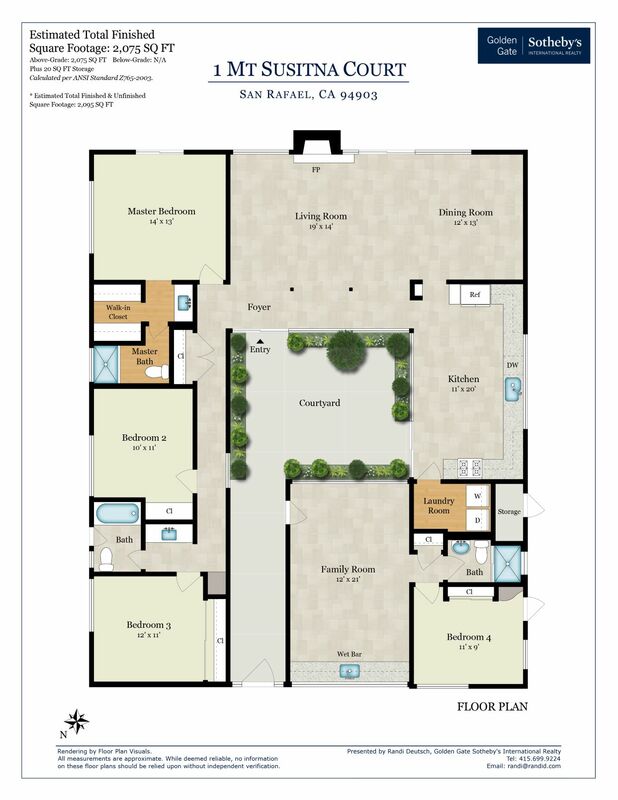 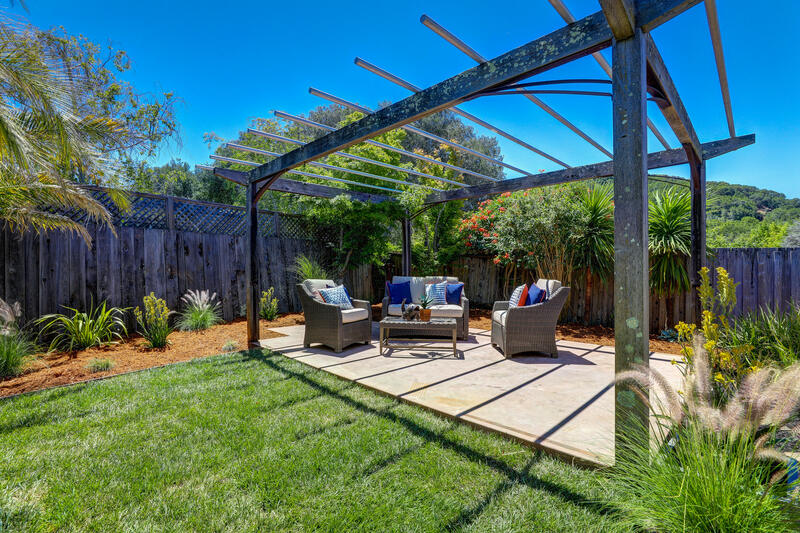 Flooded with natural light offering the best indoor-outdoor lifestyle. 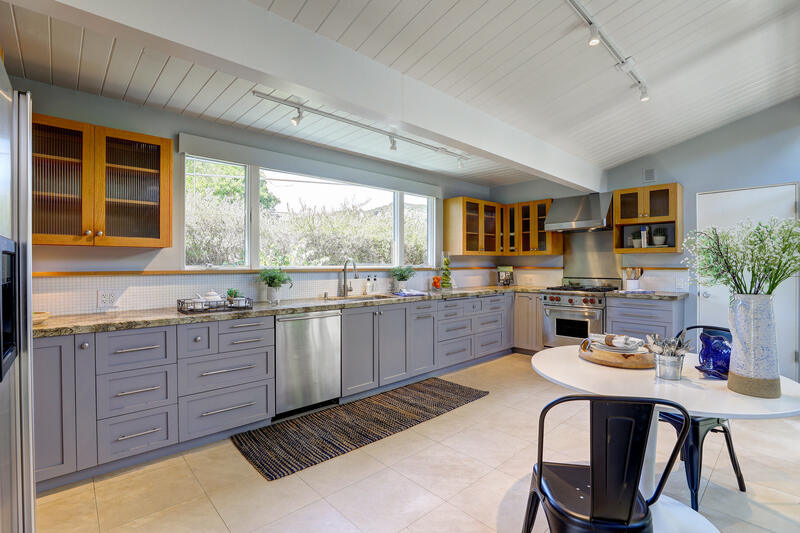 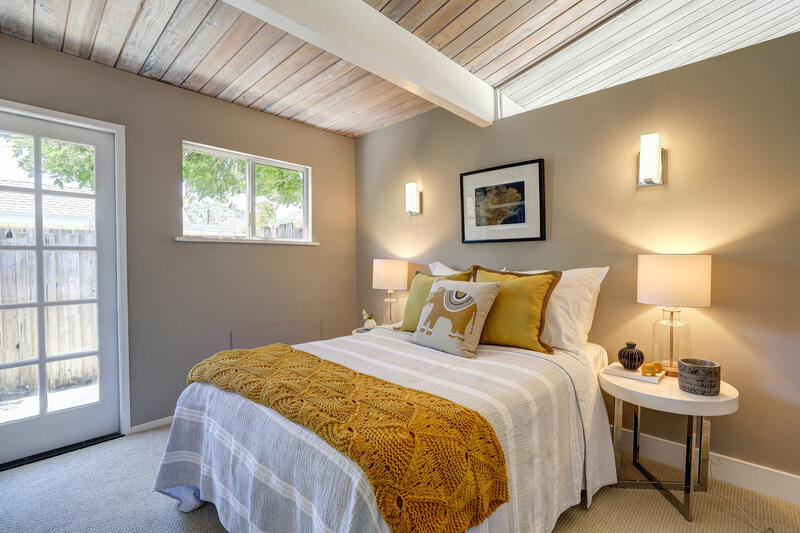 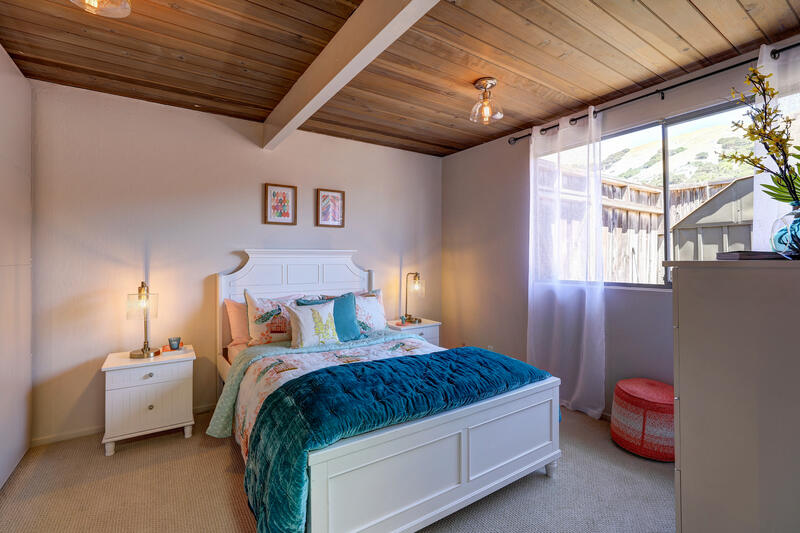 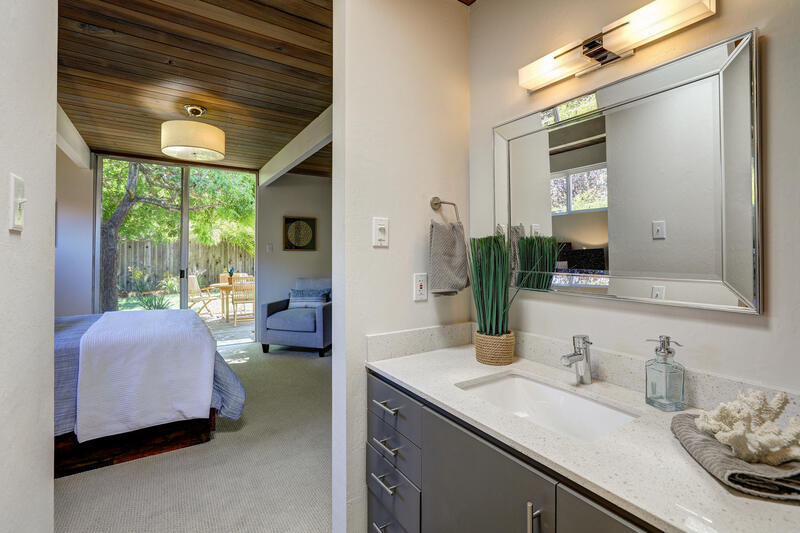 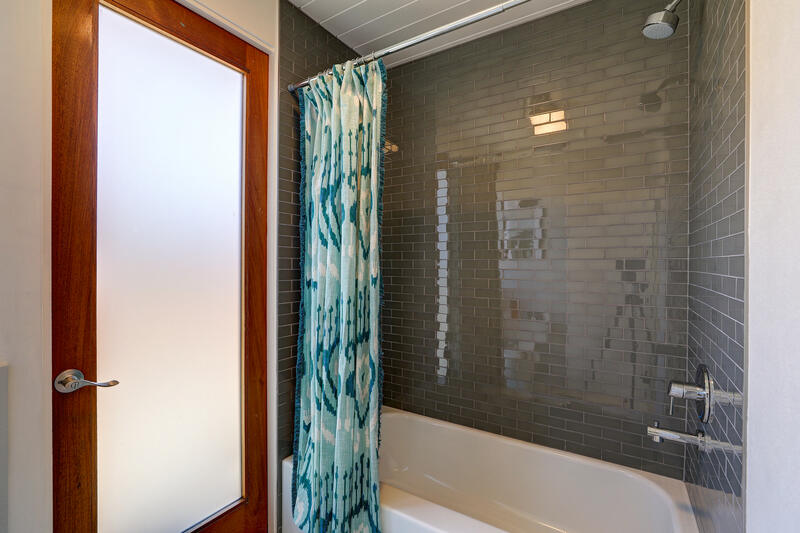 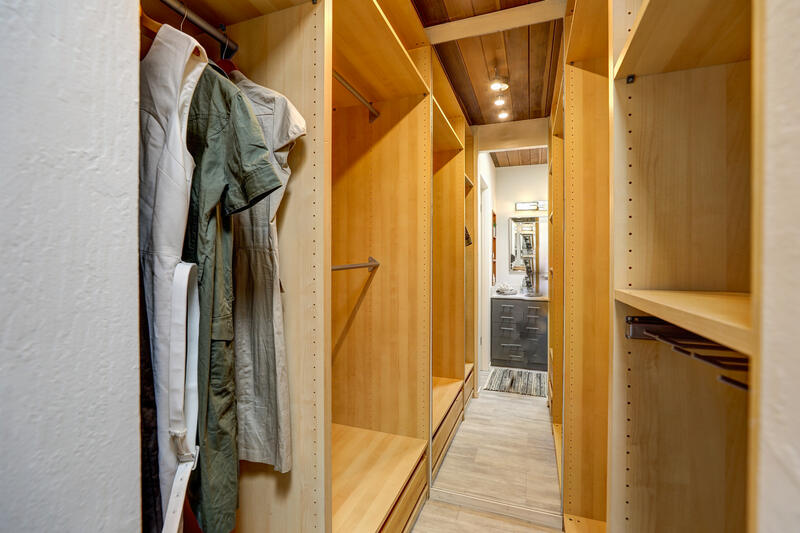 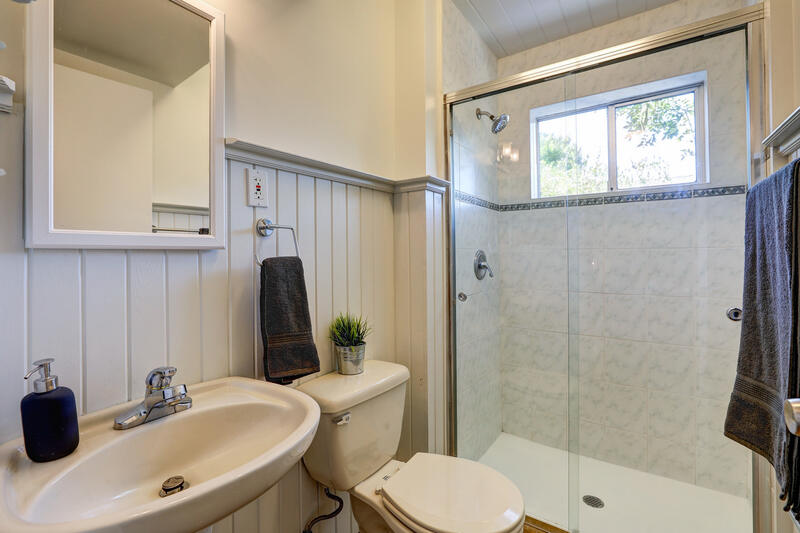 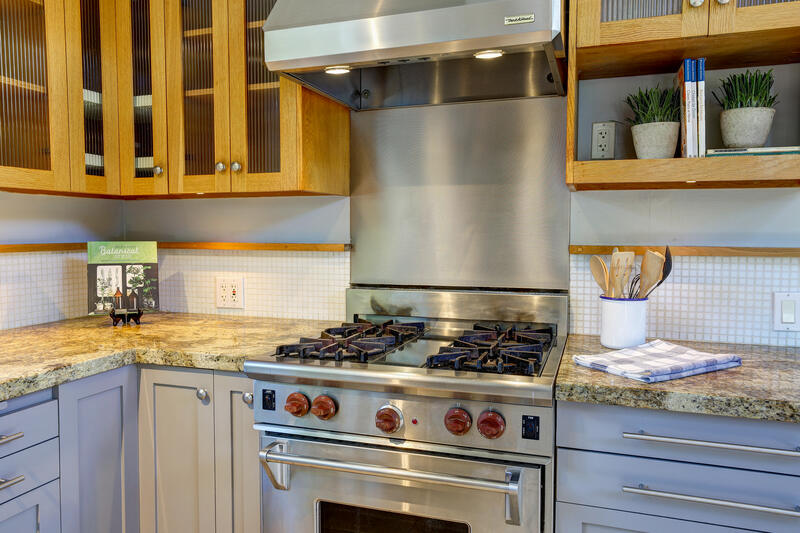 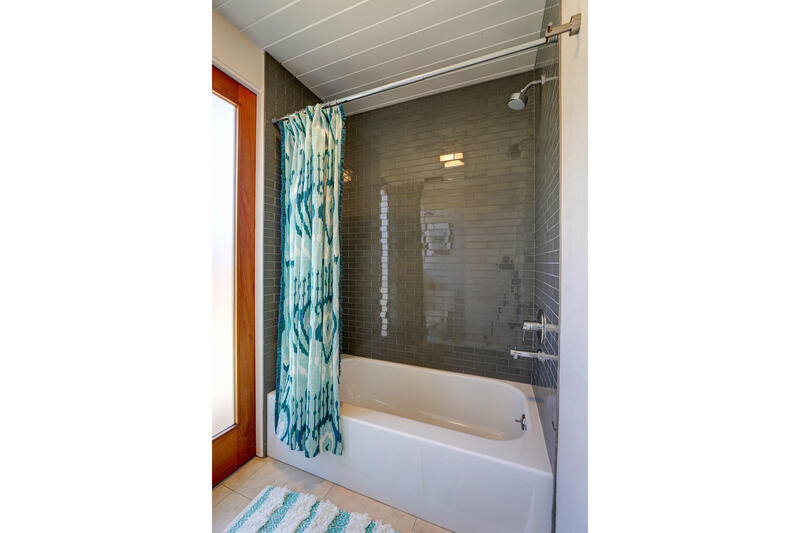 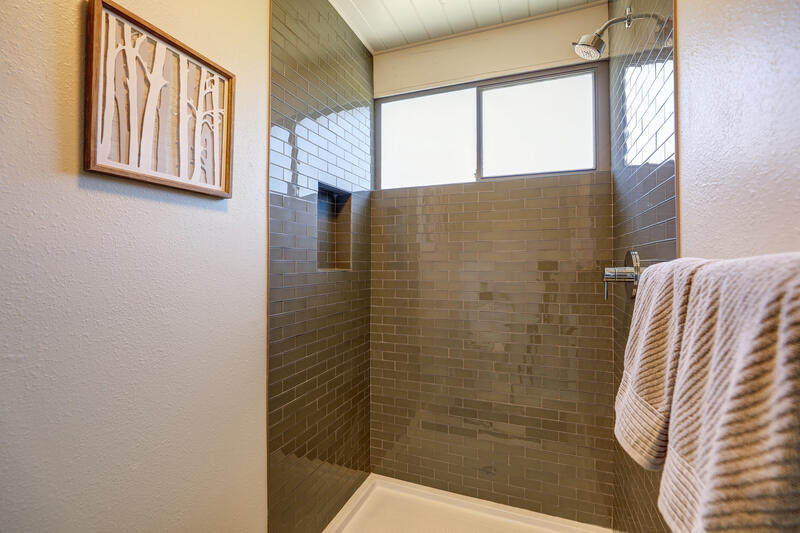 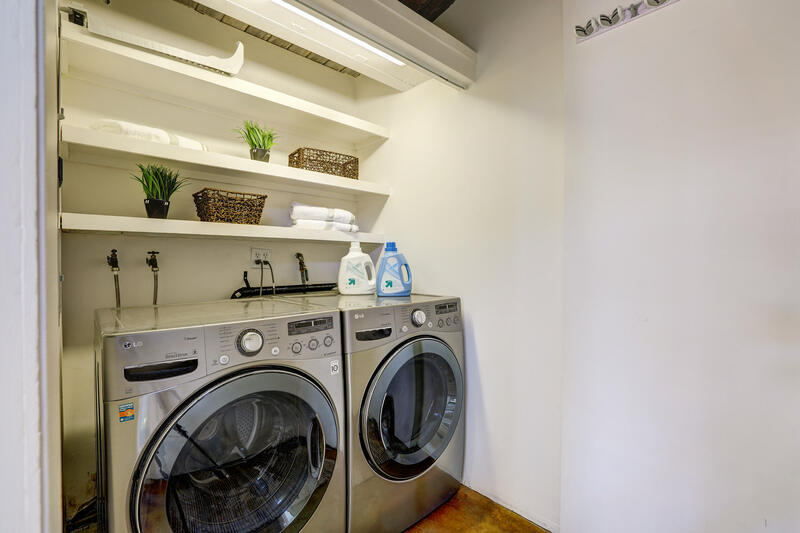 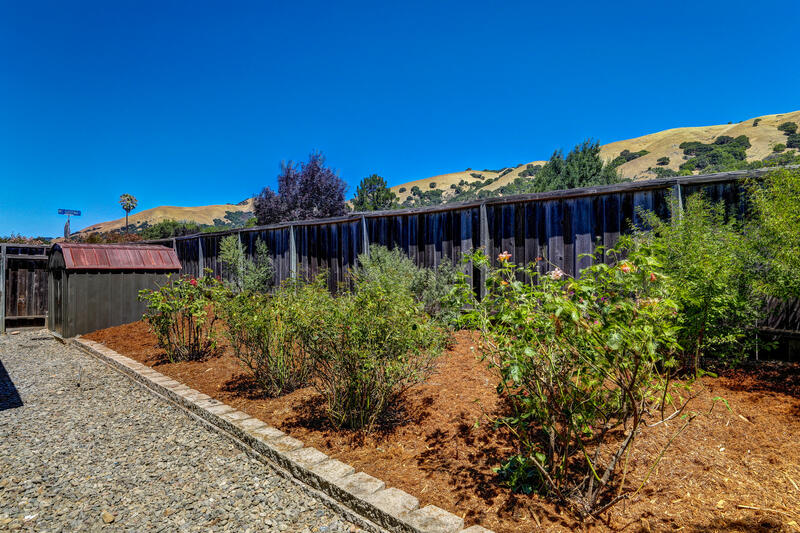 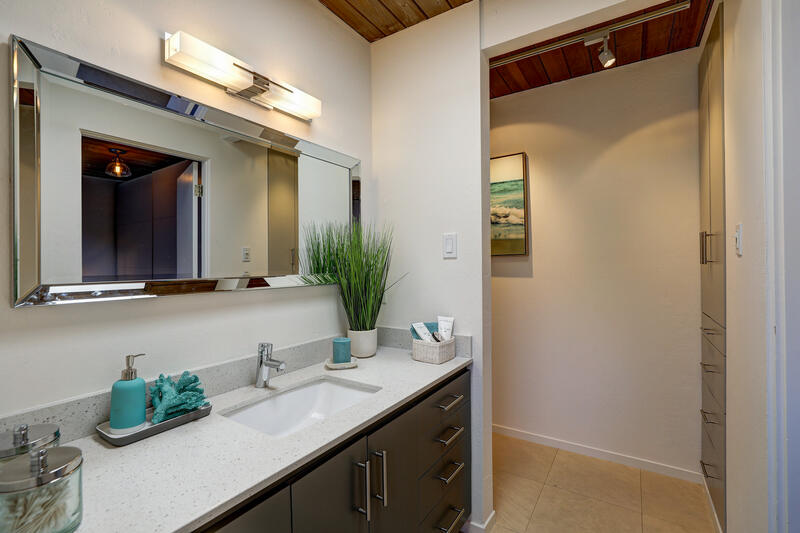 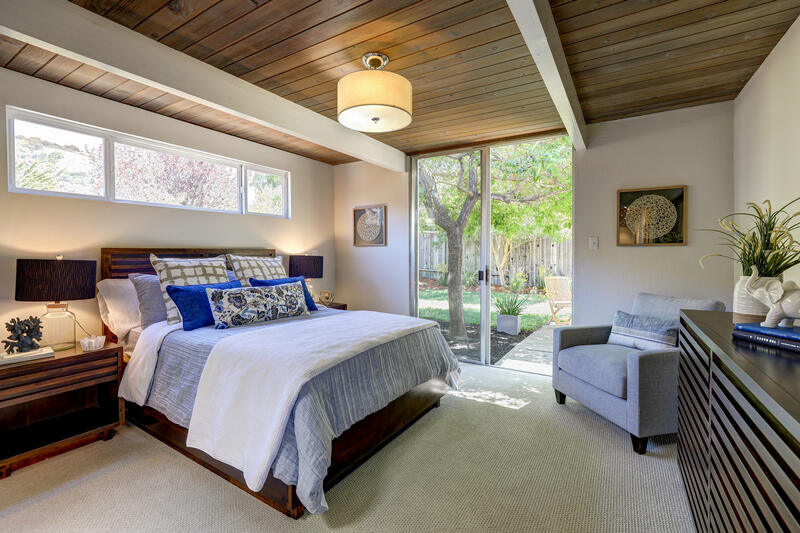 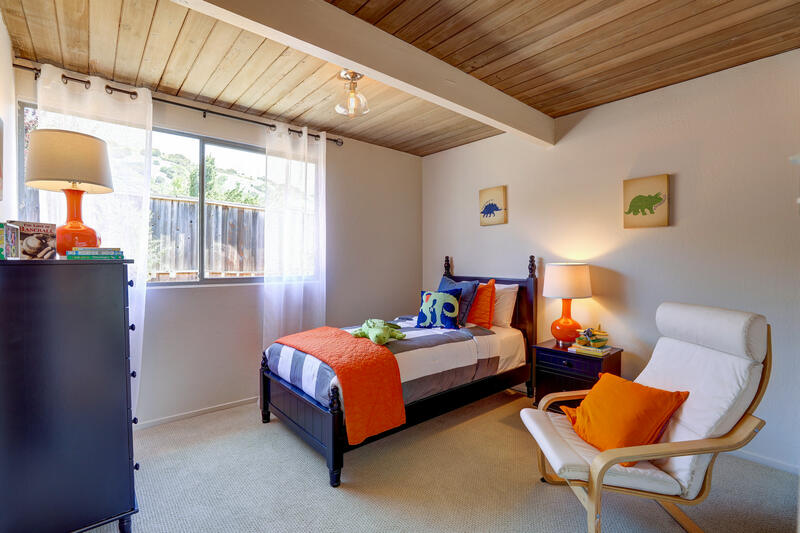 Former owner was a master craftsman who fabricated the cabinetry in the kitchen, bathroom & closets and converted the garage into a spacious guest suite. 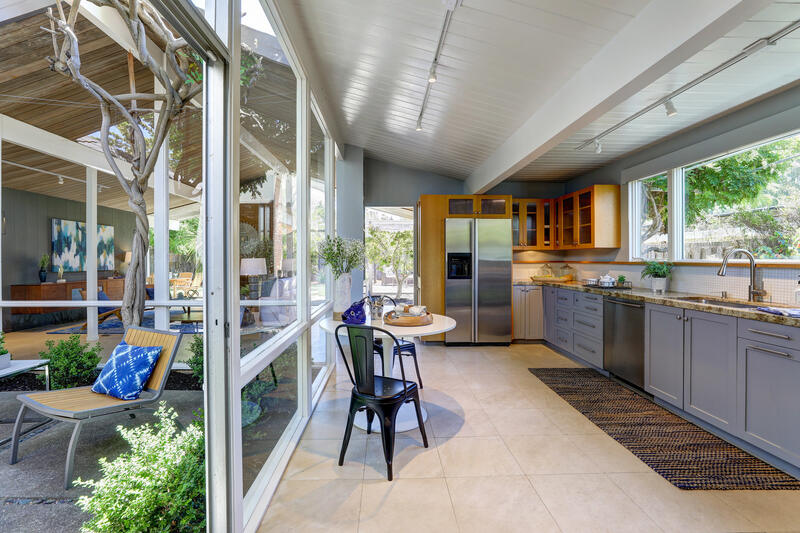 Bright and cheerful with white limestone flooring.